These 10 Corporations Control Everything You Buy! This chart shows that most products we buy are controlled by just a few companies. 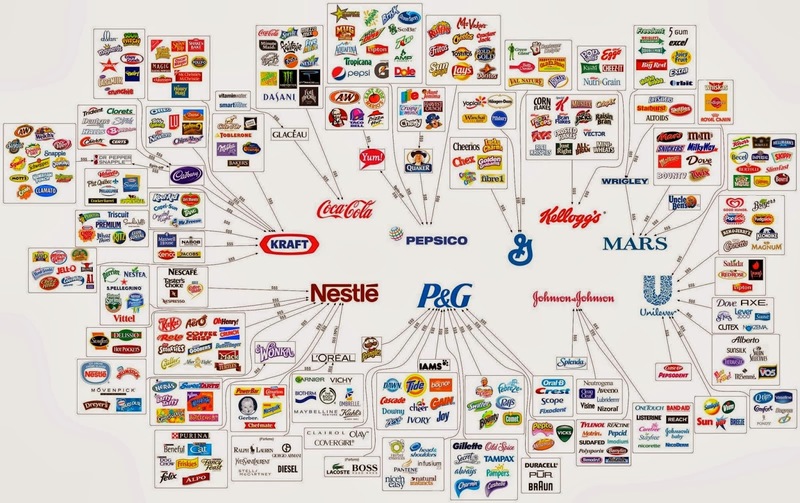 It’s called “The Illusion of Choice.” Despite a wide array of brands to choose from, it all comes back to the big guys. These 10 Corporations Control Almost Everything You Buy .